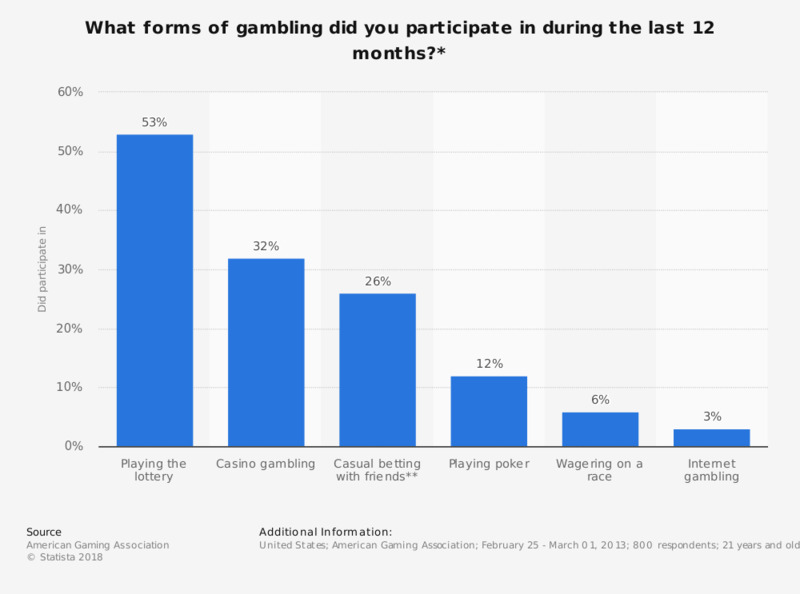 This graph depicts the participation in different types of gambling by American adults over the past 12 months in 2012. 12 percent of the interviewees have played poker over the last 12 months in 2012. ** INcludes fantasy sports, a game of golf, etc.